Closeout. 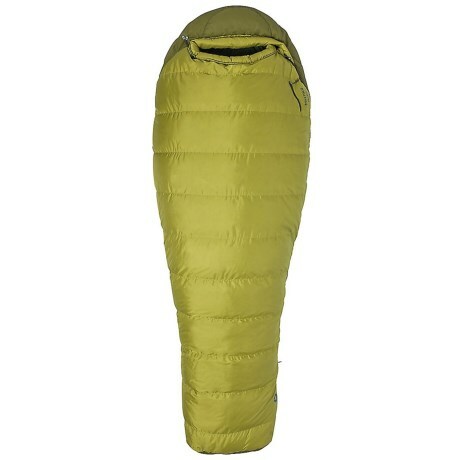 Filled with water-resistant 650 fill power goose down, Marmotand#39;s 30and#176;F Radium down sleeping bag can be zipped open like a book to convert it to a flat blanket. Available Colors: DARK CITRON/MILITARY GREEN.